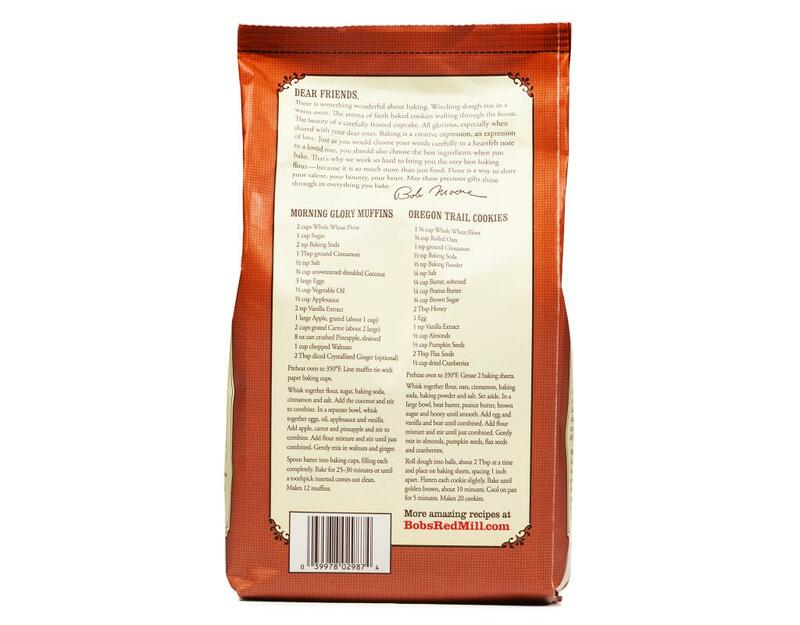 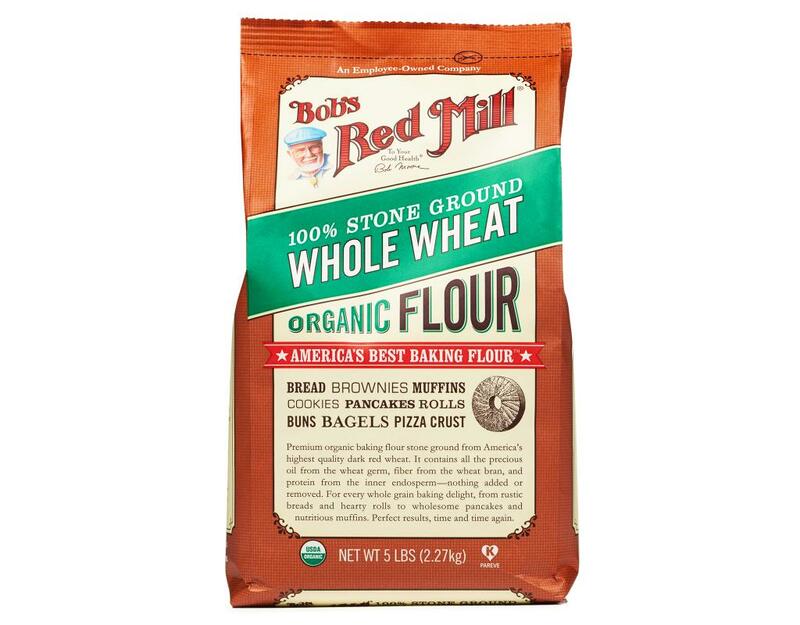 Organic Whole Wheat Flour is 100% stone ground from certified organic, U.S.—grown hard red. Nothing is lost in the process of grinding the flour—one pound of wholesome whole wheat berries go into the mill, and one pound of nutritious whole wheat flour comes out. The bran, germ and endosperm of the wheat kernel are all included. 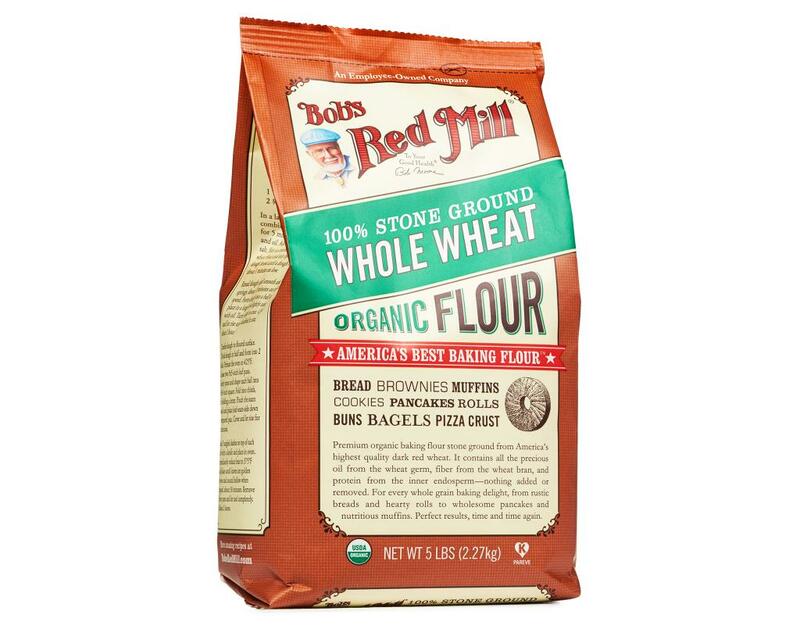 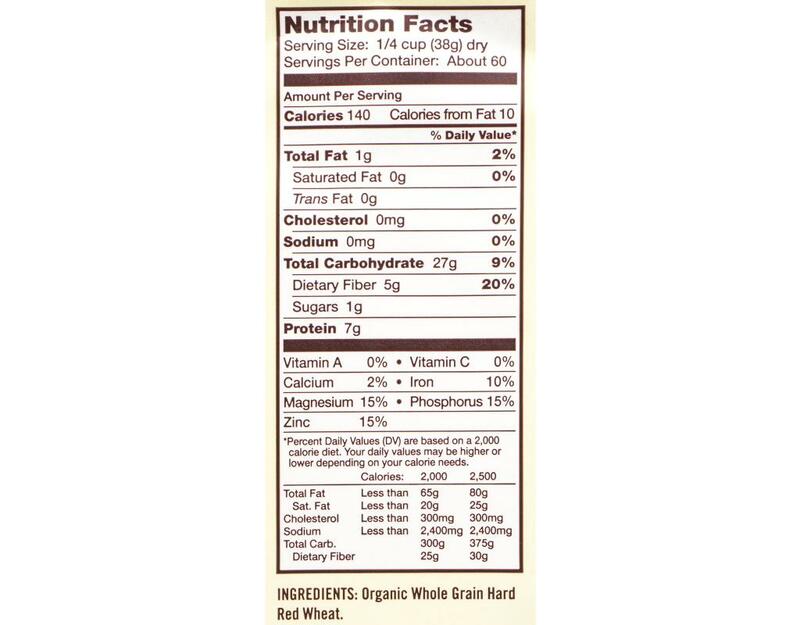 Bob's Organic Whole Wheat Flour is rich in dietary fiber and provides 7 grams of protein per serving. 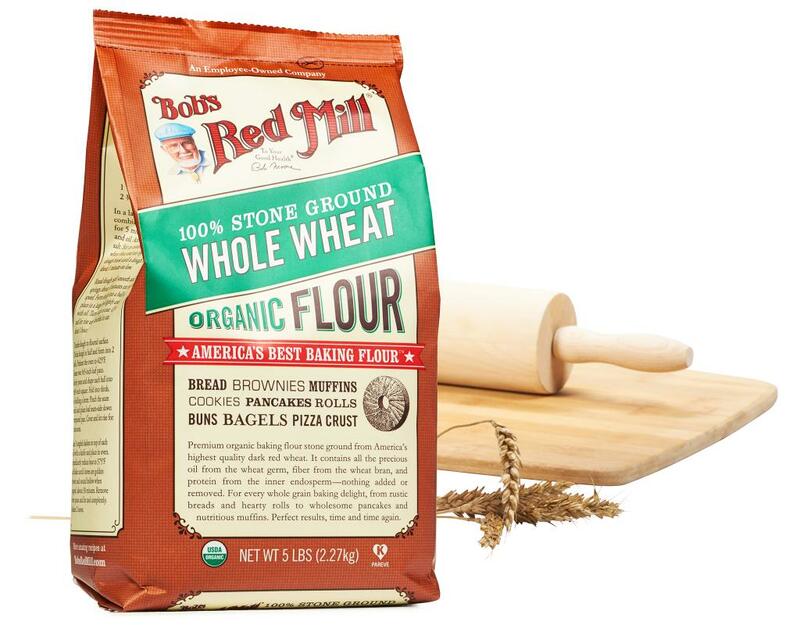 It is a good source of essential minerals including phosphorus, magnesium, zinc and iron. 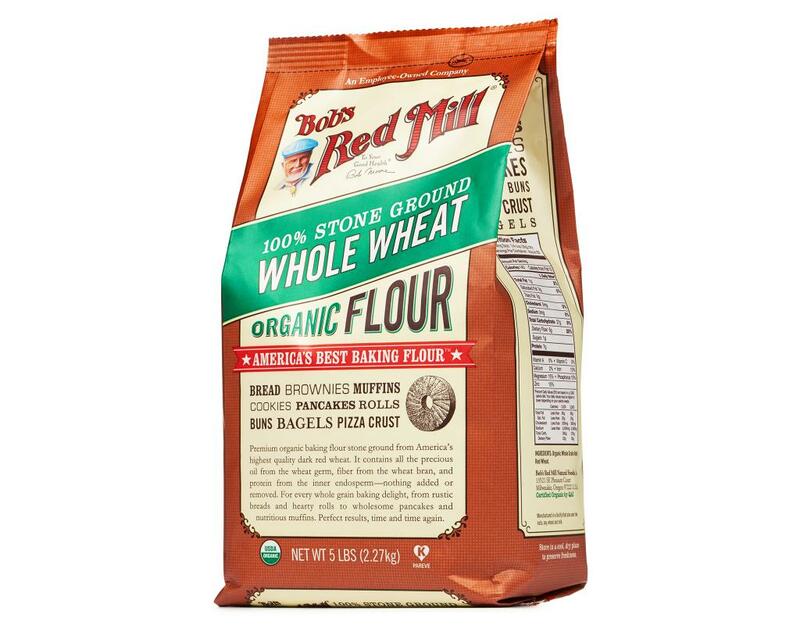 This flour has a high protein content which makes it a terrific choice for all manner of hearty whole grain breads, including nutritious sandwich loaves, rustic rolls, whole wheat hamburger buns, bagels, pretzels and flatbreads. You can also use Bob's Red Mill Organic Whole Wheat Flour for whole grain treats such as muffins, quick breads, cookies and bars. For a lighter texture, try using a mix of Whole Wheat Flour and All-Purpose Flour. 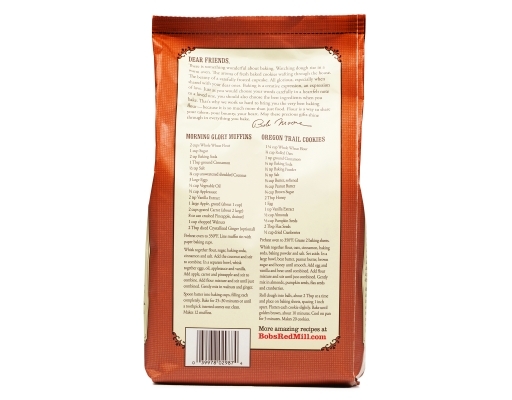 There's three delicious recipes right on the package: Morning Glory Muffins, Oregon Trail Cookies, and Honey Whole Wheat Bread. 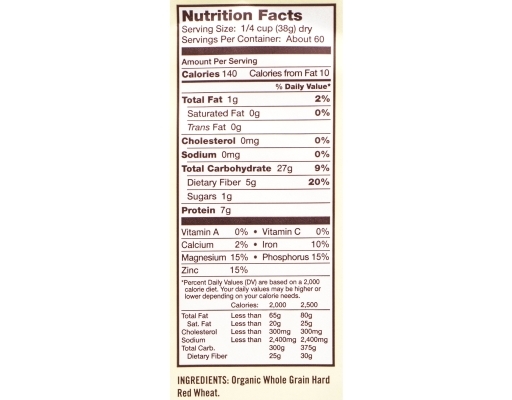 *Manufactured In A Facility That Also Uses Tree Nuts And Soy.